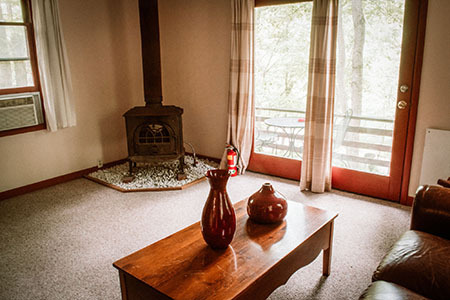 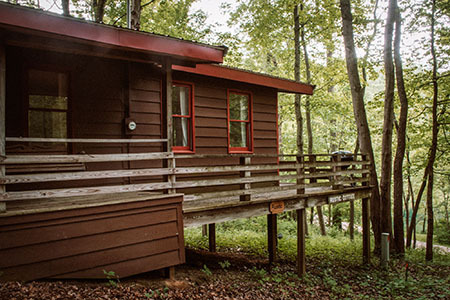 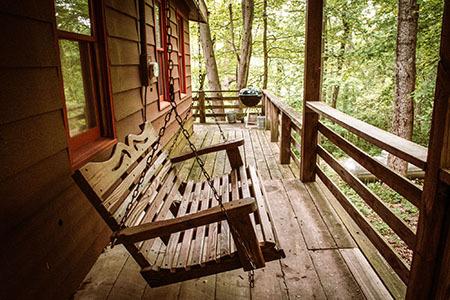 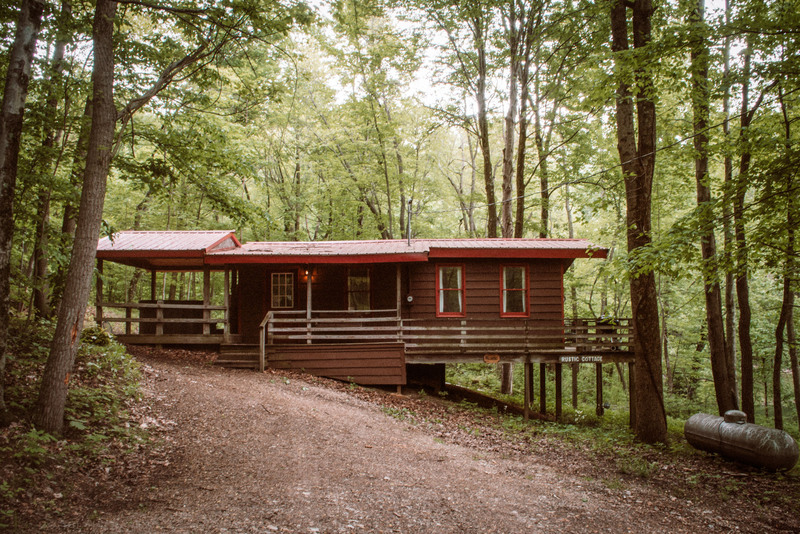 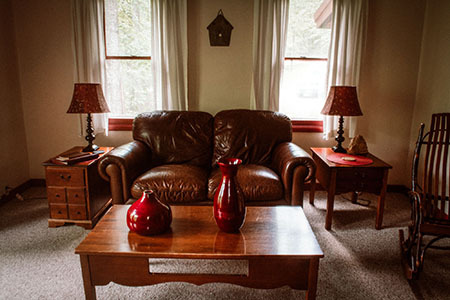 The Rustic Cottage, which is 49 yards from the lake, has one bedroom, is designed for a couple. 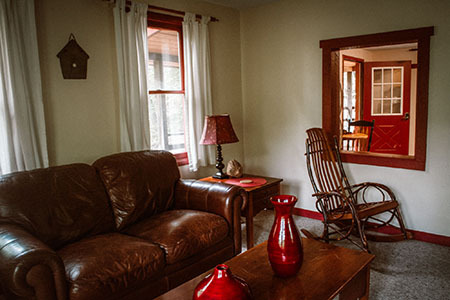 The queen-size bedroom has a large picture window with a view the lake to the south. 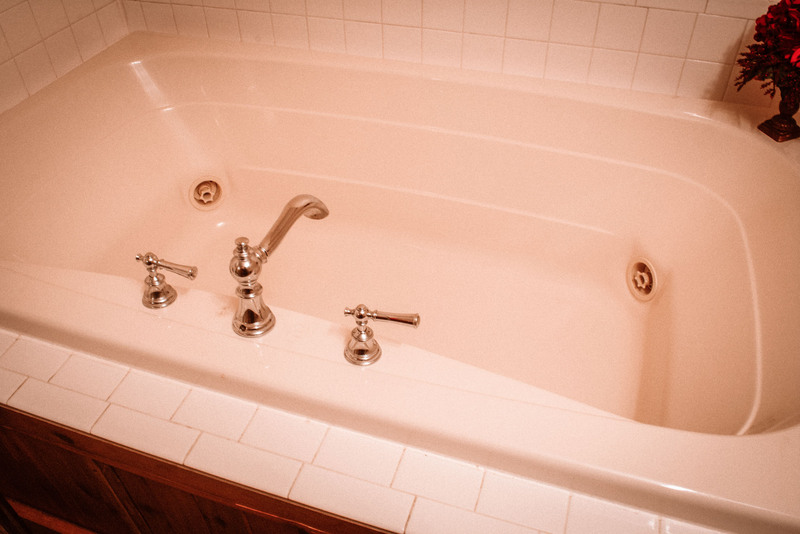 The bathroom has a two-person Jacuzzi. 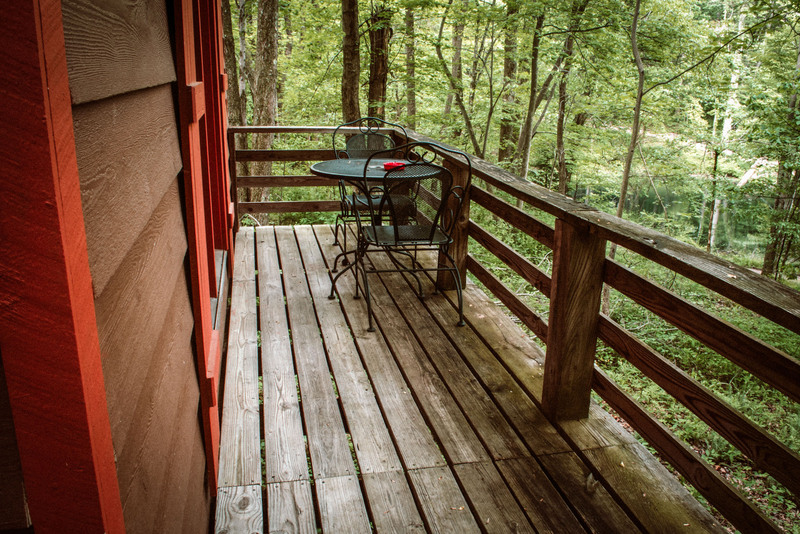 The nearly 300 square feet of wrap-around deck includes a covered hot tub area. Weeknight pricing begins at $125 per night. Click on Arrival Date to see availability calendars for additional dates. 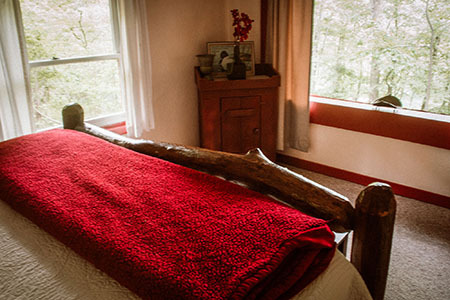 Online Bookings require a two night minimum. 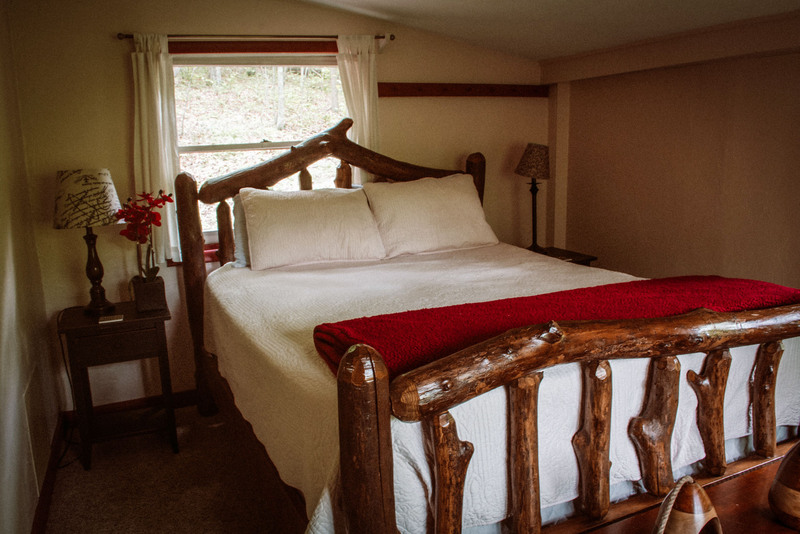 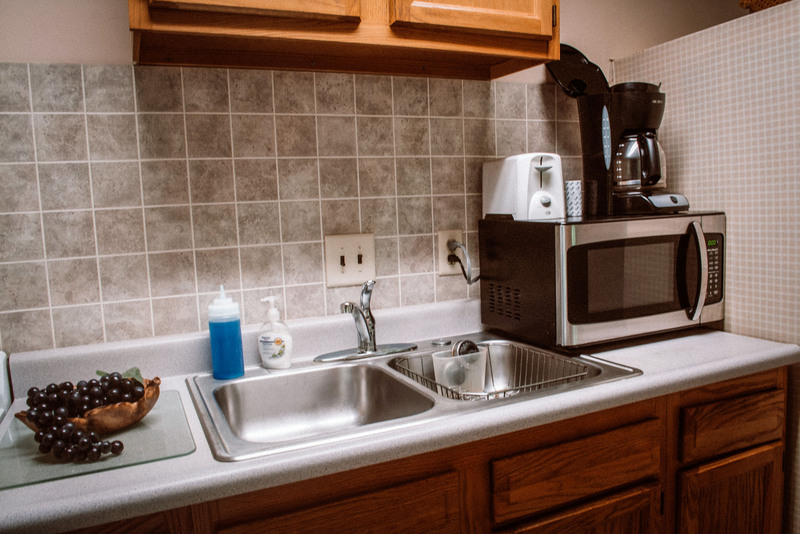 However if the calendars show that one night is left open between two reservations, then a one night stay may be booked by calling us at 740-746-0243.